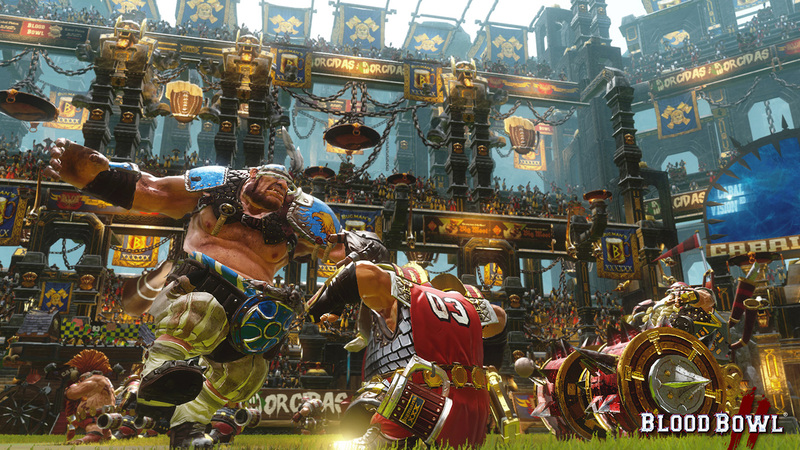 Blood Bowl 2 Review – Where’s Everything Gone? Six years ago, a new adaptation of the Blood Bowl board game was released by Cyanide. Offering a multitude of different races and ways to play within its later releases, Legendary Edition and Chaos Edition, Blood Bowl developed into a highly competent strategy sports game that captured many players with its gameplay. However in comparison, Blood Bowl 2 can barely be regarded as an improvement on its original release with it barely holding a candle to the Legendary or Chaos Editions. It’s hard not to compare the two titles when the sequel seems to have no ambition when it comes to improving on its original title. Whether it’s due to time constraints or pure lack of ambition, Blood Bowl 2 is not a complete game. The first thing most new players will do is jump straight into the Campaign, an effective way of learning how to play through steadily scaled matches all combined with an overarching narrative about a team on its return back to glory. Although narrative certainly is a bit of a strong word as it merely offers a driving force for your players to keep participating in leagues. Human players, that is. 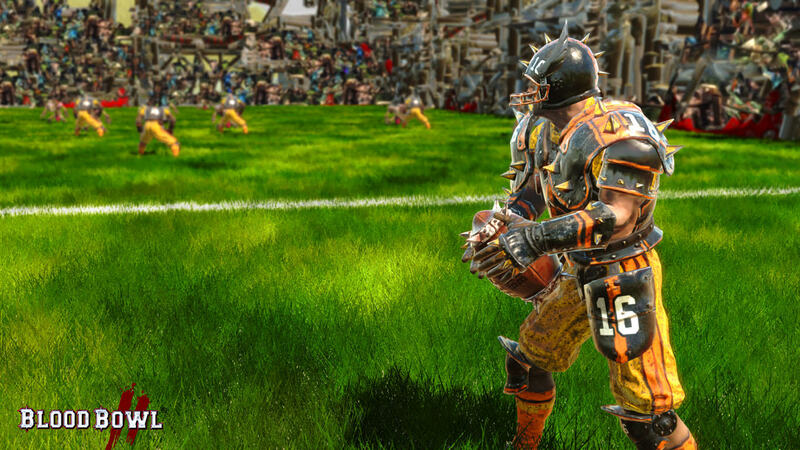 Whilst Blood Bowl 2 does involve eight available races, the campaign tells the story of a single Human team known as the Reikland Reavers with no options to play and learn any other strategies of play that many other teams will require of you. Sure, it’s nice to use an Ogre as the backbone of your defense but you’ll find no such Ogre on a Dark Elf or High Elf team. The core of Blood Bowl 2 exists within its multiplayer component, establishing rivalries with your friends and bringing your team to victory in online league matches. However, you can play through the entire Campaign mode and still not be totally clear on what sort of strategies you’ll need for your new Chaos team. Especially since the AI seem to be so inconsistently random that it’s hard to actually deduce what strategy they’re going for, if any. Throughout that last paragraph, I managed to reference half of the races available within this bare-bones sequel. With Chaos Edition giving the original title a total of 23 available races, including the very popular Lizardmen and Chaos Dwarves, the inclusion of just eight gets dull extremely quickly. There is, of course, a variety of team composition options that can add a level of surprise, but without anything dynamically different, it becomes difficult to convince veteran players when they can’t even make their star team. These are sentiments that have been echoed across the Blood Bowl community with the Lizardmen and Wood Elves now being (really expensive) DLC and many other races just not being present at all. There certainly is something to this new iteration, however, and it’s mostly within the aesthetics. Players feel tough and powerful with muscle definition and a clear, gruff expression on each of their faces. With each player having a different appearance, there’s a motivation to zoom your camera right in and take a look at the pitch from the player’s perspective and see the roaring crowds of fantasy creatures. There’s a certain level of atmosphere that Blood Bowl 2 both strives for and achieves. This is expanded upon through the development of your very own stadium as you turn your smaller arena into something you can be really proud of playing home games in. As well as this, one of the largest complaints about Blood Bowl, the commentator has been improved to an extent. Whilst you’ll still hear the same stories over and over again, their quips are often more relevant and detail the impact of each of your moves, sometimes even mentioning smaller things that you may have missed. As a standalone product, Blood Bowl 2 might have been alright. There’s very few improvements to the gameplay itself, but it still is the core Blood Bowl experience despite everything. 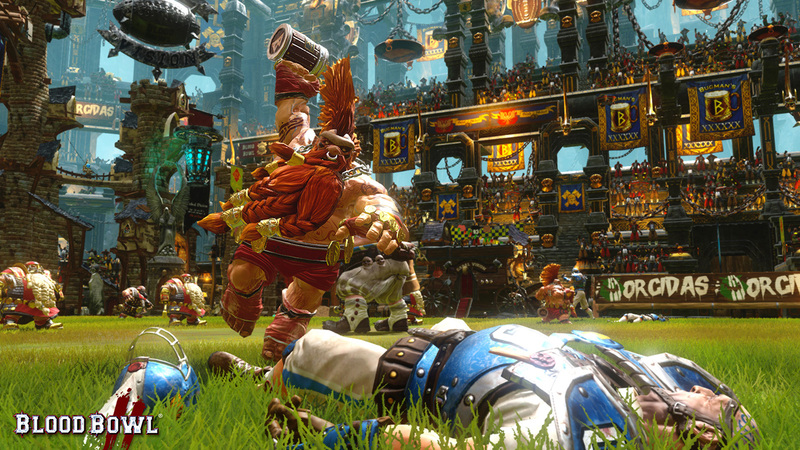 However, as a sequel, Blood Bowl 2 offers zero reason for fans or newcomers to pick it up. Its single player offers little to be desired and with the severe lack of races to try out, the multiplayer can get tired unless you have a group of friends actively playing together. If you’re really interested in a strategy-sports game based on the Games Workshop board game, buy Blood Bowl: Chaos Edition. It’s everything that this sequel couldn’t be. It’s very possible that further content will be added and some of these issues will be fixed, but right now it’s not worth the purchase, especially since those new races will probably end up as DLC too. This review was based on a digital copy of Blood Bowl 2 for the PS4 which was supplied by Focus Home Interactive.